Are you getting a little tired of making the same Thanksgiving dinner recipes every year? Take a look at these 26 Perfect Casseroles for Thanksgiving. 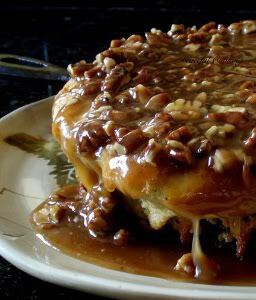 You'll find some make ahead Thanksgiving recipes, Thanksgiving stuffing recipes, Thanksgiving dessert recipes, and more. There are even a few leftover turkey casserole recipes that will help you clear out your refrigerator after the holidays. Thanksgiving may be an American tradition but the recipes you choose to make don't have to be all that traditional. While some of these may seem like nontraditional Thanksgiving recipes (such as Classic Spinach Kugel), they will really complement your turkey as well as the rest of your sweet and savory dinner spread. You can add a new tradition to your Thanksgiving table with one of these super easy Thanksgiving dinner recipes. If it always seems like you're too exhausted from all of the work it takes to make Thanksgiving dinner, then you should try one of these dishes instead. You'll finally be able to enjoy quality time with friends and family because many of these don't require a lot of ingredients or prep time. In between cleaning the house, greeting guests, and scheduling oven time for each dish, the last thing you need is a difficult recipe to prepare. Both you and your guests will love these crowd-pleasing recipes! Some stuffing recipes can taste bland and forgettable. However, these casseroles for Thanksgiving incorporate different spices and flavors than you would normally think to put into your stuffing. 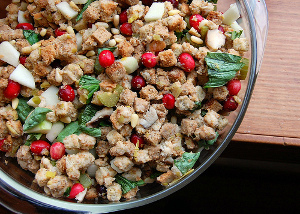 Your family will be wondering how you ever thought up such a delicious stuffing recipe. Can't get enough Thanksgiving? 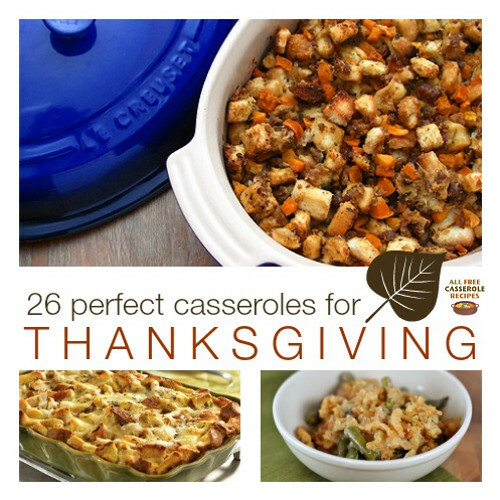 There are even more casserole recipes in this free eCookbook, Fall Casserole Ideas: 14 Deliciously Good Recipes for Thanksgiving. 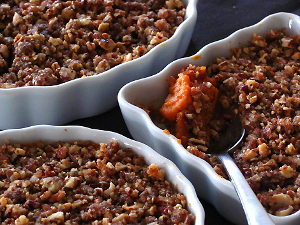 While turkey is the star of Thanksgiving, the side dishes are what really make the meal. 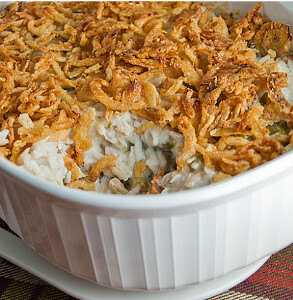 Choose a few of these recipes to add to your list of casseroles for Thanksgiving. 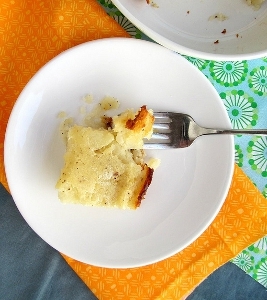 Who knows, these recipes may surprise you and take the place of some of your traditional side dish casserole recipes. Who has time to make all of their Thanksgiving dinner recipes the day of when there's so much else to be done? Take a look at these side dishes that you can make the day before and then pop into the oven on Thanksgiving. They'll save you time and frustration while still satisfying your family. No meal is complete without dessert. These treats are fitting dessert casseroles for Thanksgiving because they incorporate the flavors of the season (such as apple, pumpkin, and cinnamon). Besides, how many pumpkin pies can you possibly serve at one Thanksgiving? While your Thanksgiving meal may have been delicious, eating it everyday for a week may become tiresome. If your refrigerator is full after the holiday is over, try these casseroles for Thanksgiving leftovers. If you enjoyed these Thanksgiving recipes, then check out our eCookbook all about the sides: Easy Thanksgiving Recipes: 14 Thanksgiving Side Dishes.